Tom Murray's Mad Day Out with The Beatles. During 1968, The Beatles were entering their final phase of being a group. With the death of Brian Epstein a year before, they had started to fight amongst themselves, tensions came to a head during the sessions for the White Album and things were never the same again. Still, photo shoots were a necessity to keep their evergreen image in the public eye and in July, they set up a photo shoot that became known as the 'Mad Day Out' shoot, as they constantly kept changing locations in London due to fans overrunning them. Tom Murray was the photographer and he took 23 fabulous shots of the band over the course of the day. New York, NY – Tom Murray left his house on July 28th 1968 not knowing he would step into the most memorable photo shoot of his early career. Waiting for him were John, Paul, George & Ringo, of The Beatles, along with hurdles of screaming fans that pushed the group to move constantly from location to location and unknowingly inspiring the name of the famous collection of 23 photographs: The Mad Day: Summer of ’68. Almost fifty years later Tom Murray’s mad day has come back to life in a visual book, created by Paul Skellett and Simon Weitzman, that dives into the details, backstage, culture of the 60’s and anecdotes, that made the last publicity photoshoot done by the group before it split up, so glorious: Tom Murray’s Mad Day Out With The Beatles. 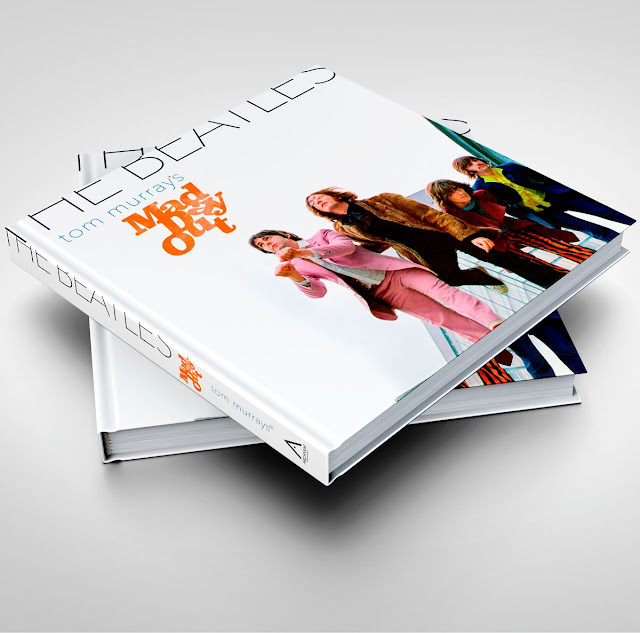 Published by Archivum, Tom Murray’s Mad Day Out With The Beatles, draws from the legendary impact that the band had-and continues to have- on society. Through Tom Murray’s photographs, memories and tales the book tells a visual story of how the Beatles weren’t only a music sensation but a phenomenon that influenced generations. Murray retraces the locations that made the backdrop of the Mad Day photoshoot: The Docklands, Old Street Station (where Paul McCartney nearly fell off the roof), Regents Park, Paul McCartney’s house in St. John’s Wood, St. Pancras Church Garden and Wapping Pier Head. For each image shot Murray tells the story of how it came to be, depicting the playful and unexpected characters of each member of the band and recreating the energy of that moment.